Wine & Cheese tasting - Famille Rambier - Vins en Pic Saint-Loup, Vallée du Rhône. 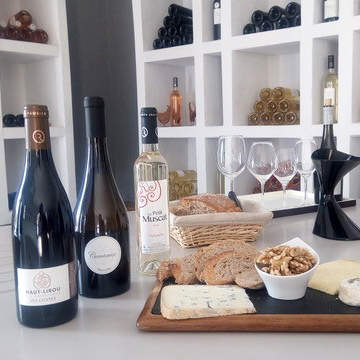 Come share this gourmet food pairing at a vineyard in the Pic Saint-Loup. We have selected 3 different cheeses; our cellar master has paired them with wines from our estate …depending on what you like, you may choose traditional pairings or head off the beaten path to discover unique and unusual pairings. A gourmet moment in the heart of a historic vineyard of the Pic Saint-Loup appellation! For a memorable experience, try it with family or friends, or purchase a gift certificate. Also, use this time to be introduced to wine tasting or to improve your tasting skills.